We had a nice dinner party on Halloween night. We invited my aunts and uncle who live in a retirement complex so they could see all the trick-or-treaters in our neighborhood. I think we had at least 30 kids, and they were all wearing fantastic costumes. I was so impressed! After our guests left, we hung out at the neighbors’ bonfire for some cocktails and a few laughs. 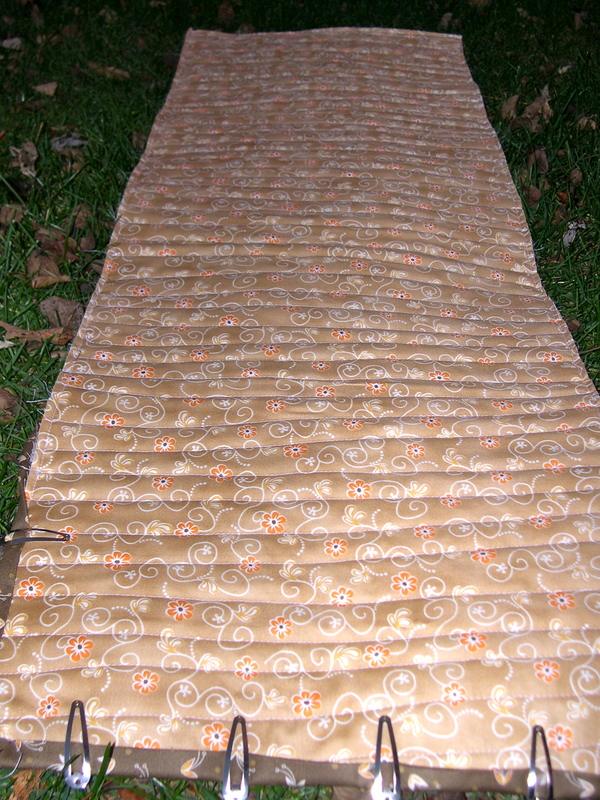 Next up, I finished quilting my table runner today! I mentioned previously that I used Anina’s pattern, which I liked and would recommend. I don’t think I was as precise as her pattern calls for, so it turned out a little more wonky, but in a good way, of course! 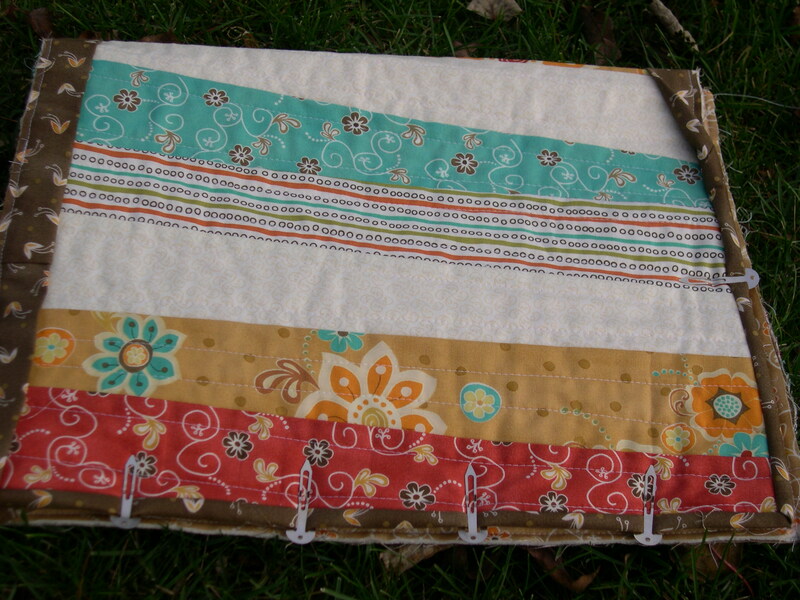 This project is made from the Natural Territory fabrics by Terry Atkinson, which I found at my local quilt shop. I used the walking foot to quilt random lines across it, which was fun. I think the straight lines gave this project a cool, modern effect. I just need to finish hand sewing the binding to the back and then it will be ready to use through the month of November. It measures 17 inches x 46 inches, just right for our buffet. I am looking forward to working on a few patchwork products this week to post in my shop for the upcoming holiday seasons. 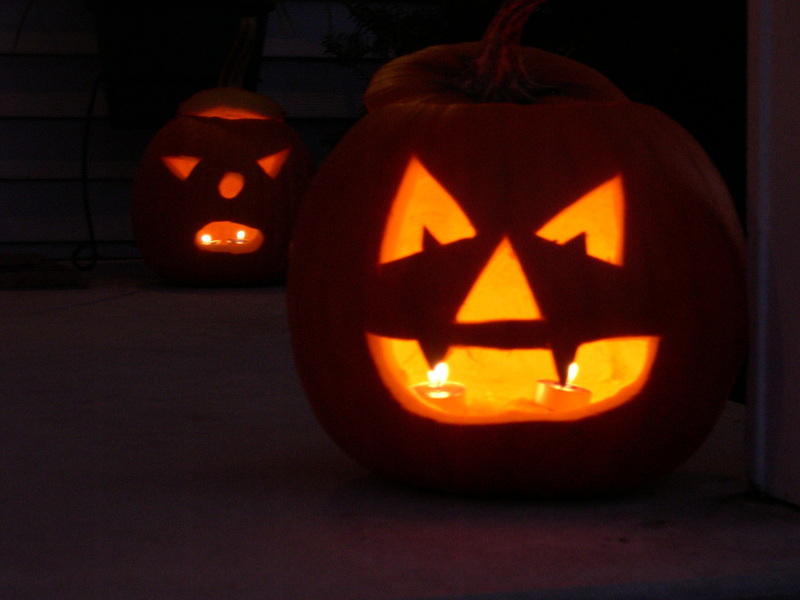 Hope you all had a great Halloween weekend, and have a great week! The straight lines look really good with this. Nice! I love your porch with all the Halloween decor. Glad that your weekend was a good one. Wow! You look like you’ve been busy and having fun! Love the wonky stars and the computer bags and the little cosmetic bags. You’re getting to be quite the “bag wiz”! They’re great! And I love the picture of your front porch too. That quilting is perfect for that pattern! You must have a well-behaved walking foot; mine forgets that it has a special purpose and acts like any old machine foot. If you have any walking foot skills, oh, please share!! Like you don’t have enough to do, right? Can’t wait to see the new patchwork! I love it Terri! It came out great! 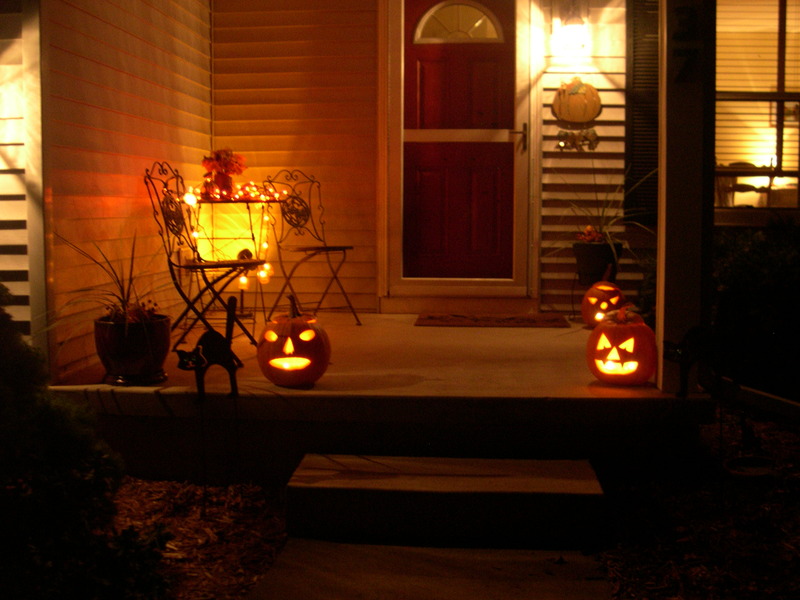 Your porch looks so inviting for the trick or treaters! Sounds like you had a fun time! Dear Terri, i adore your gorgeous table runner! Gorgeous! Glad you had such a wonderful halloween weekend! Have a lovely merry happy week and love to you! 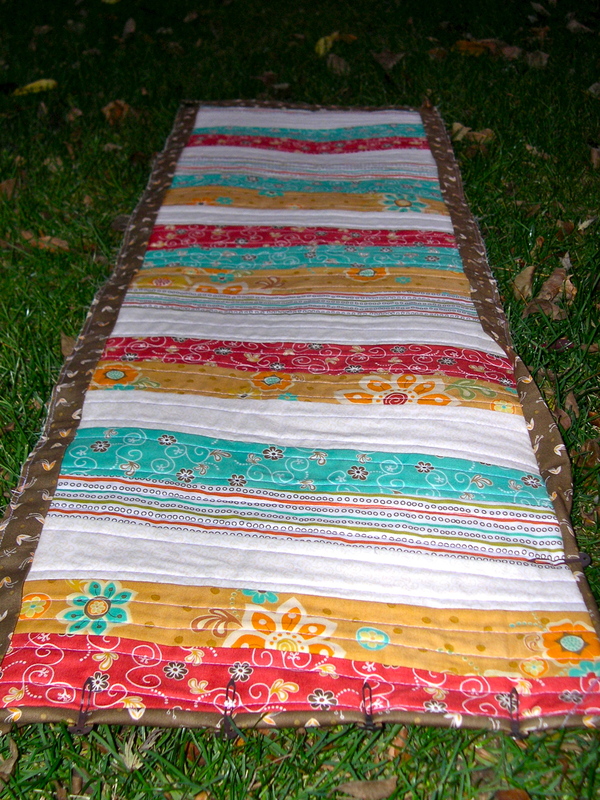 Looks like you had a good weekend and the table runner turned out so nice. Good Job!! Halloween sounds fun! I love your table runner and the jack-o-lanterns are so spooky!